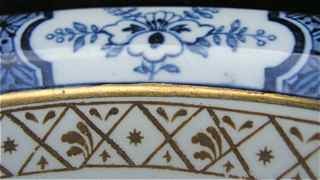 With gold rim and inner band ­ a rare and striking variant on the regular Yuan pattern. 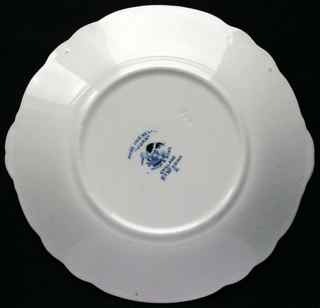 NB: All the following items are the regular blue & white version (without gold trim). 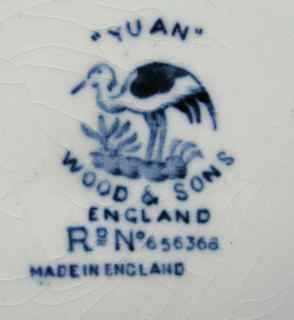 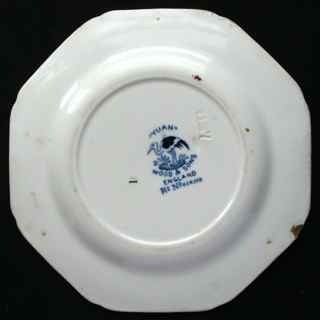 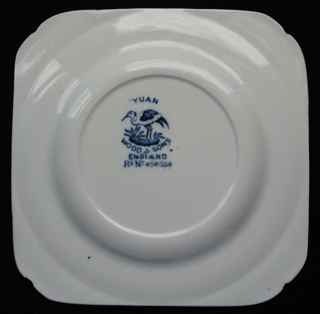 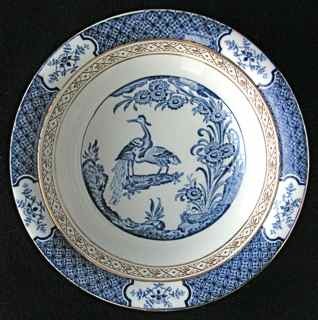 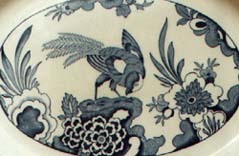 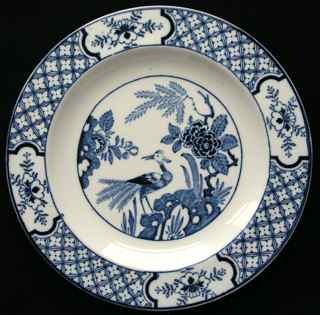 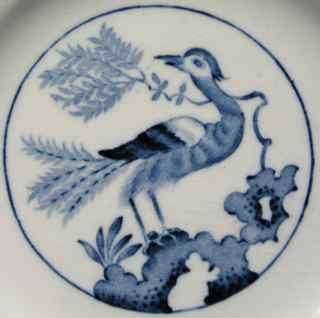 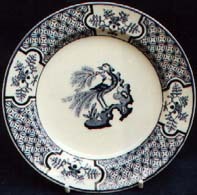 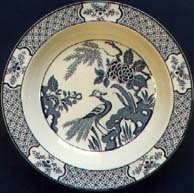 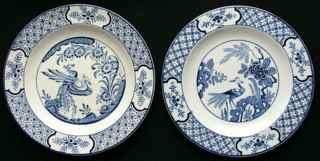 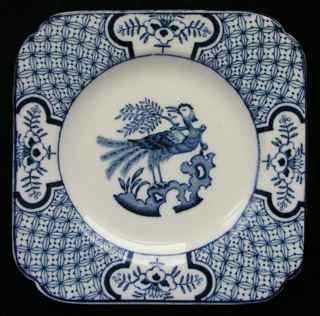 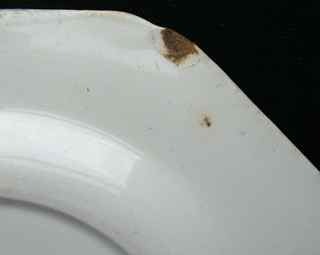 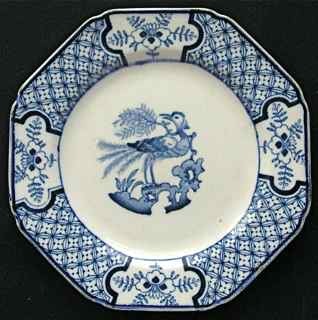 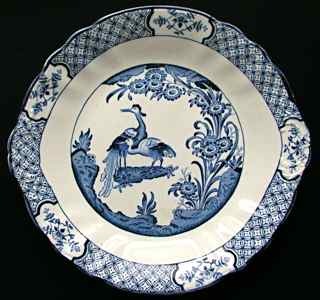 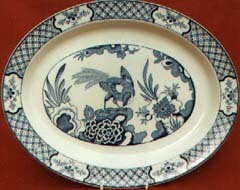 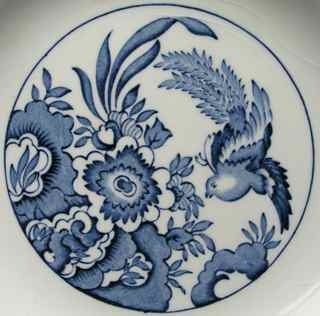 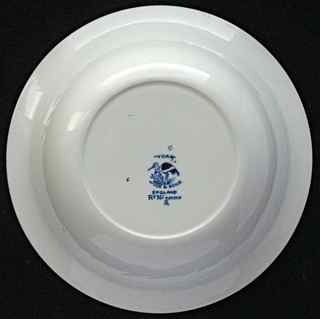 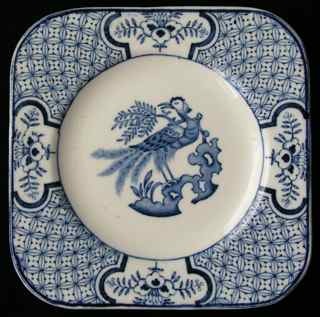 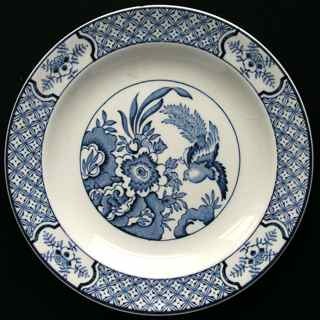 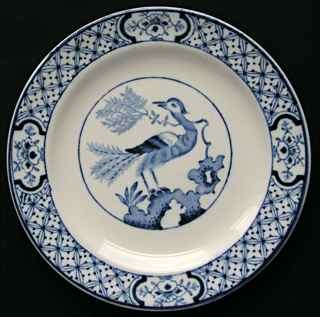 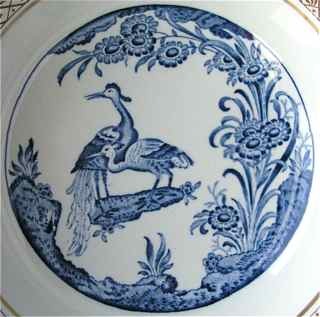 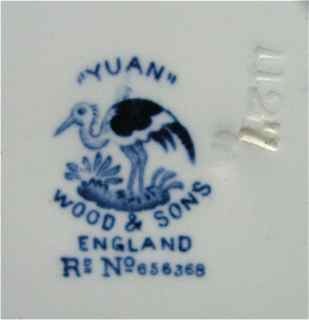 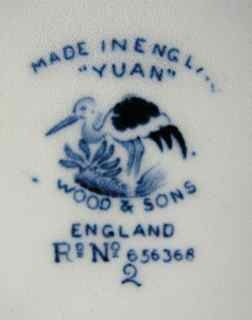 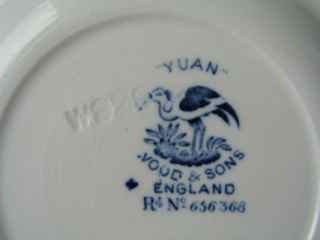 NB: It is extremely rare to find Yuan plates in this shape - we have never seen another! 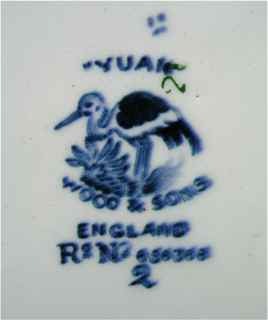 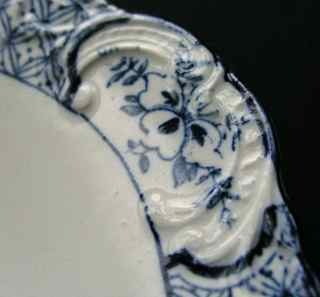 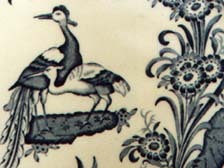 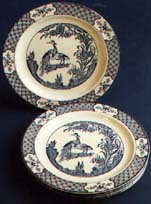 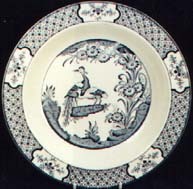 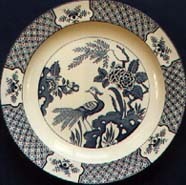 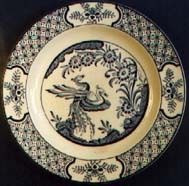 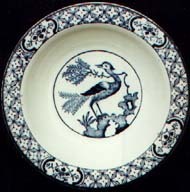 This size can be found with two different central designs (see R and below).